17th AWITC – what’s on the menu? Fruit fly outbreak in Loxton: how will it impact the transportation of grapes this vintage? 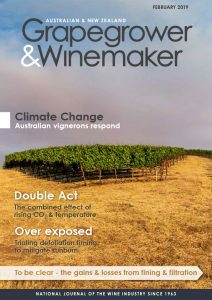 How is climate change affecting Australian vineyards and what are growers doing to respond? What is the best time to remove leaves to minimise sunburn? How does Shiraz feel the heat?